Working with bigmouthmedia (now DigitasLBi) and the Mydestination creative team, I led the redesign of mydestinationinfo.com (now www.myguide-network.com). Mydestination.com is the business hub of a network of franchised local travel guide websites run by local experts. Following the migration of the individual local guides under the mydestination.com umbrella, our objectives were to enhance and develop content within the hub site. Following the redesign mydestination.com saw a 203% increase in hub site traffic (90% increase in organic) and a 12% increase in referrals to individual local guides. Working with DigitasLBi and TRA, I designed and led a conversion optimisation program for C&G baby club designed to increase baby club recruits and improve user behaviour signals to meet SEO goals. The C&G baby club was created by Cow & Gate to offer mums-to-be and mums advice and support from the early stages of pregnancy through to toddlerhood. We carried out analytics analysis and an expert review which identified issues with user engagement and page flow of key organic landing pages. This informed test and design ideas which were prioritised by potential for improvement, impact and cost. An AB test using Optimizely was then designed to de-clutter the landing page template and re-order content promotions and calls to action. 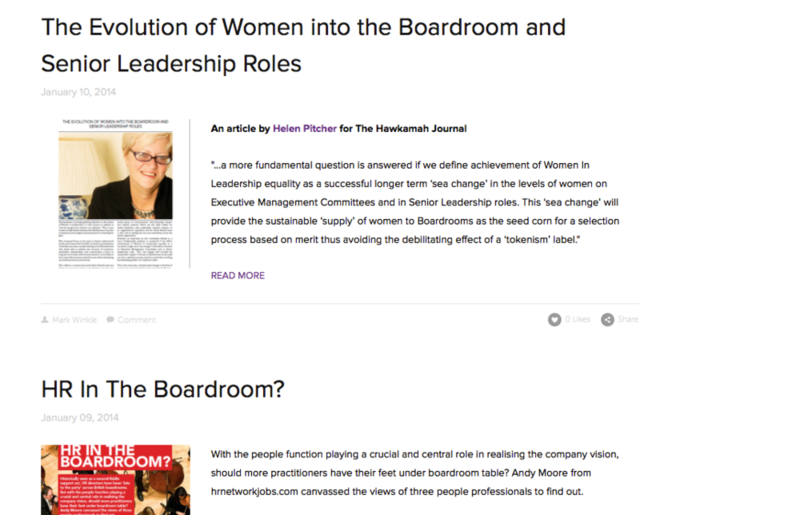 Two variations of the landing page template were created. 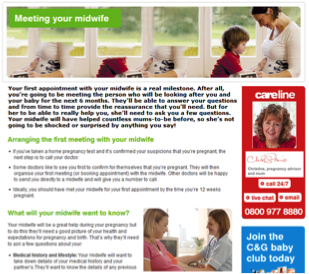 Both emphasised the page content while alternative positions of the 'Careline' and 'Baby Club' promos were tested. 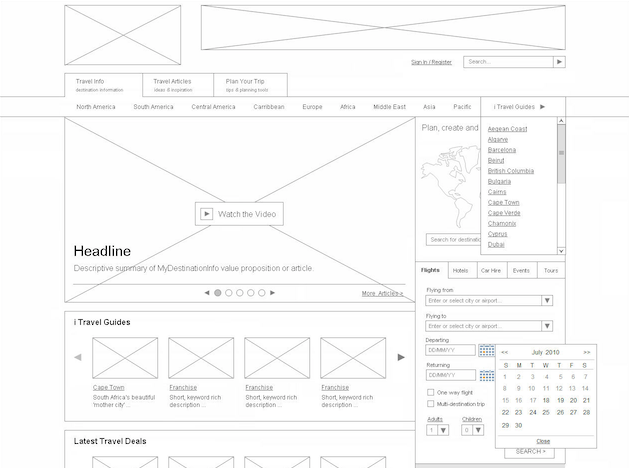 Analytics analysis and expert review identified issues with article page layout and information flow. This variation resulted in increased recruits (+79%) and increased Careline click through. This variation resulted in increased recruits (+124%) and increased Careline click through. Using the Squarespace online publishing tool, we developed a responsive website design for ASH with an updated look and feel. ASH design + assessment Ltd (ASH) are a full service environmental consultancy, providing landscape design and environmental assessment services for sectors and industries throughout Scotland, the rest of the UK and Europe. Following a vendor evaluation, we developed an easily editable responsive website (accessible via multiple devices and screen sizes) with an updated look and feel using the Squarespace online publishing tool and templates. This provided ASH with a platform for the high quality imagery they produce, showcasing its services and project experience. LinkedIn and Twitter profiles were developed for ongoing management in-house by ASH employees and a strategy provided to support online networking and connected conversations within the renewables sector. The www.ashdesignassessment.com website is a showcase of their knowledge, expertise and creative approach to landscape design and environmental consultancy. The site is optimised for search engines, accessible, easily editable in-house and adheres to ICO guidance on privacy regulations and cookie law. ASH also have a branded presence within LinkedIn and Twitter. 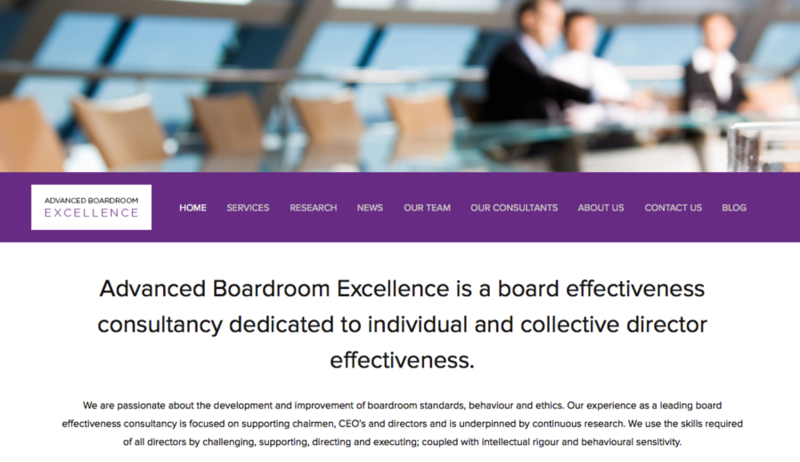 Advanced Boardroom Excellence Ltd (ABE) are a start-up board effectiveness consultancy dedicated to individual and collective director effectiveness. ABE came to us with an immediate requirement for the design and build of their brand website. Together we developed a brief and functional specification. Following a vendor evaluation, we developed a responsive website (accessible via multiple devices and screen sizes) with an updated look and feel using the Squarespace online publishing tool and templates. This provided ABE with an easily editable, cost effective solution. The abexcellence.com website showcases ABE’s knowledge, expertise and creative approach to coaching and workshop delivery through its content: news articles, research, white-papers and example training materials. These landing pages are linked to relevant staff profiles and contact details to highlight individual consultant expertise; and are shareable to facilitate conversation and online mentions. Our UX design, conversion optimisation and digital marketing training can be delivered on a one-to-one basis or individually tailored to meet the requirements of your team(s). As an experienced trainer, we can deliver one-on-one training sessions and courses individually tailored for groups large and small. We've designed and delivered bespoke training material for a number of brands and agencies in the Uk and Europe. 1-2-1 mentoring and the design and delivery of 3 x 1/2 workshops for the Canvas Holidays marketing team to help increase their understanding of key topics including SEO & Content Development, Email & Audience Segmentation, and Digital Marketing Analytics. Design and delivery of a 1/2 day Lead Generation workshop for 20+ Creative Edinburgh members. Training was delivered in partnership with The Digital Co.
Design and delivery of a 1/2 day customer journey mapping Masterclass for 60+ Visit Scotland attendees from across the business. Training was delivered in partnership with The Digital Co.
Design and delivery of 2 x 1/2 day CRO and 2 x 1/2 day UX training sessions and 1-2-1 mentoring for Tesco Bank digital product owners. Training was delivered in partnership with The Digital Co.
Design and delivery of training material for two 2hr sessions for DLBi's UX and Content Strategy teams on the role of data, analysis and research within the UX design process. Development and delivery of sales and educational material for business development teams on the UCD process, usability services and UX design. Design and delivery of training material for two 2hr training sessions and ongoing knowledge shares for DLBi's Media teams on the integration of CRO within media services including SEO, PPC, Display and Affiliates. Development and delivery of sales and educational material for business development teams on the conversion optimisation process. Design and delivery of training material for three whole day sessions for Shop Direct's UX and creative teams to integrate SEO into the business. Design and delivery of training material for a 1/2 day lecture and QA session for 50+ Media and PR executives within DK, Penguin and Puffin on the role of PR in SEO.